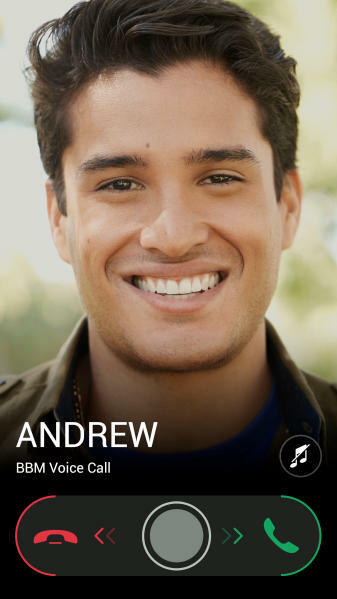 BlackBerry issued a huge update for its iOS and Android BBM clients on Thursday that activates plenty of new features. We suspected there might have been a delay to this launch considering BlackBerry just lost its head executive in charge of BlackBerry Messenger, Andrew Bocking, but it appears that wasn’t the case. At any rate, let’s dive in to what you can expect. 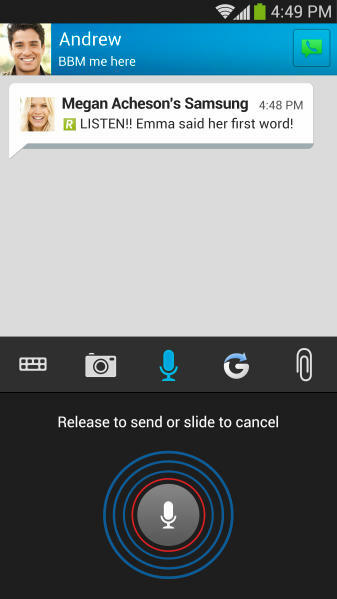 The latest version of BlackBerry Messenger for iOS and Android now includes BBM Voice, a feature that is already available on BlackBerry 10. 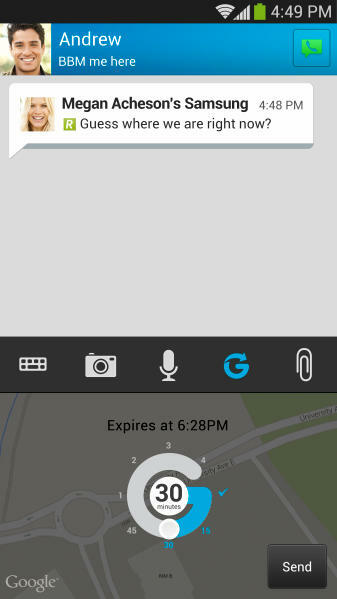 With BBM Voice, you can call other BBM users for free without using any voice minutes, and all you need is a Wi-Fi or data connection on your smartphone. 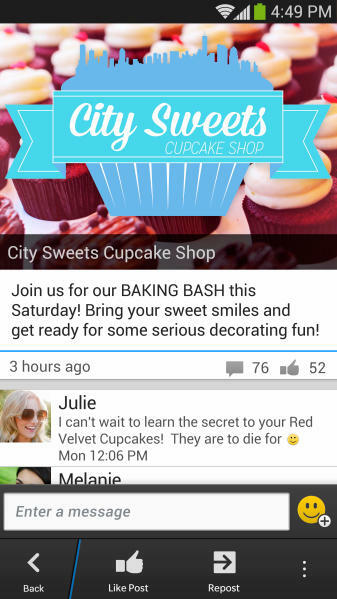 BBM Channels was also added, and it basically allows you to follow different brands, people or communities and create/participate in discussions with other people. The update also includes one-click sharing, so you can send files, voice recordings and photos quicker than ever, in addition to integration with Dropbox, which lets you send files stored up in the cloud. 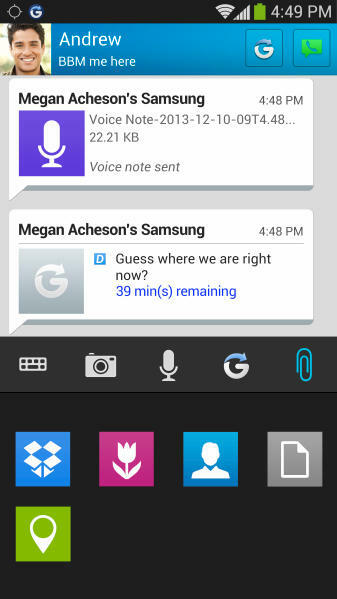 Other features include more than 100 new emoticons and a new ability to share your location inside BBM. You should be able to find the update fore free inside the iTunes App Store and Google Play now.